Exploration is my greatest interest. I hope to see as much as I can, interact with things as deeply as I can, and know what's going on. My passion to explore and then share what I find has led me to climb all over the country and share those experiences on this blog. The same passion has compelled me to explore the relationship between my mind and the world. Through that exploration, I've also found things worth sharing. But I decided that it would be best to share those ideas through a short book instead of putting them on a blog. The internet isn't really the best venue for deep contemplation. And it seems that a book is the most appropriate way to get this message across. 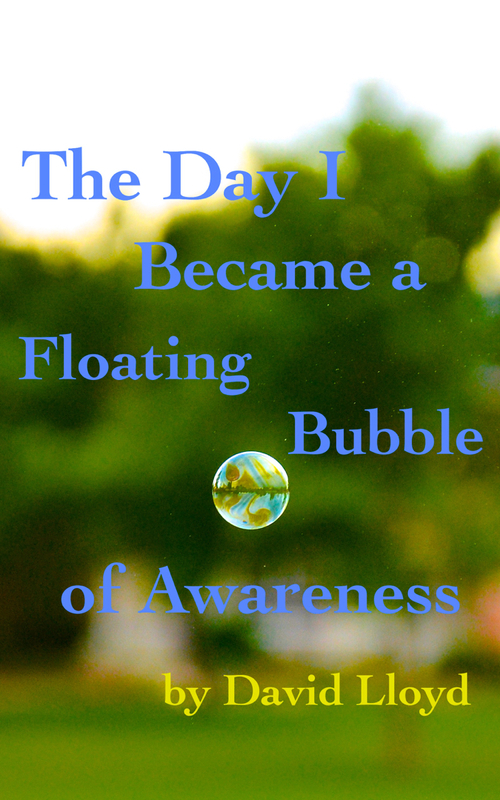 The Day I Became a Floating Bubble of Awareness was written for everyone, not just climbers. I didn't want to exclude readers who don't climb by focusing on how my experience was shaped by and continues to shape my climbing. Yet the ideas in the book form a foundation in which a life heavily devoted to climbing rocks makes some sense. It took me all of the last summer, writing through my rest days, to distill twenty years of contemplation into a clear, concise explanation of what I've learned through a lot of reading, meditation, contemplation, and a couple psychedelic experiences. Then I had it professionally edited by Lindsey Nelson, the copy editor of the Climbing Zine, and she made it even better! If you've been enjoying this blog over the years, I think that you should check it out. At least read the free sample to find out if you're interested. And let me know what you think of it in the comments. Here are links to the Apple Books and Kindle versions. The Day I Became a Floating Bubble of Awareness for the Kindle. And if you do like it, please help me to promote it! Tell friends about it! Give it a good rating and a review! And I'll do the same for your creative pursuits in return. Imagine the possibilities! What if all the climbers banded together to promote each others' creative work to the point that we gain success in the wider world? What if we worked together to help each other make livings from our passions? Maybe one day, we'll all be able to hang out together, wherever the weather is right and the climbing is good! Writing, painting, taking photographs, making films, recording podcasts, or creating jewelry from our vans. And then we'll go climbing together on all the other days! It's a possibility.